Step away from that search engine—your credentialing and privileging management solutions are mere pages away. With over 50 field-tested, expert-vetted forms that support regulatory compliance, policy development, and process improvement, The Credentialing and Privileging Toolbox lightens the research load so MSPs and medical staff leaders have more time for their frontline duties fostering high-quality care and patient safety. Featured tools, which come from in-the-trenches MSPs and medical staff leaders, have been curated and appraised by expert author Merella Schandl, BS, CPMSM, CPCS. Their top-of-mind subject matter includes practitioner onboarding, medical staff membership, privileges for new technology and telemedicine, job descriptions for credentialing personnel and medical staff leaders, APP vetting, and adverse actions. In addition to the array of sample forms, The Credentialing and Privileging Toolboxis chock-full of expert guidance that eases the transition from page to practice. Chapter introductions provide contemporary context, while targeted analysis within each tool highlights areas worth emulating and offers tips for tailoring content to fit facility needs. 50+ field-tested tools and even more expert tips to help you execute compliant, efficient credentialing and privileging processes. A comprehensive, one-stop alternative to researching one-off sample forms and developing materials from scratch. A convenient way to customize. In addition to hard-copy forms and guidance, book purchasers get downloadable, customizable versions of each featured form, plus several bonus tools. Merella Schandl, BS, CPMSM, CPCS, is a professional speaker, author, and independent consultant with 24 years of healthcare experience. Schandl entered the industry in 1993 while working to achieve an associate of science degree. While serving in healthcare management positions, she earned a Bachelor of Science degree in workforce development and instructional design from Southern Illinois University Carbondale (SIU-C). After graduating SIU-C, Schandl maintained her role as director while growing the medical affairs department into an integrated healthcare environment. She went on to assist in the building of a new hospital in Shiloh, Illinois. An instructor for the National Association Medical Staff Services (NAMSS), Schandl contributed to the development of the NAMSS Leadership Certificate Program and was the 2015 recipient of the NAMSS Golden Key Award. 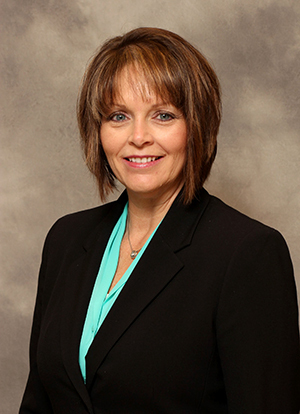 She has held several leadership positions in the Missouri Association of Medical Staff Services (MoAMSS) and in MoAMSS’ greater St. Louis area chapter. Schandl has had articles published in Synergy. She is completing a Master of Healthcare Administration degree at Lindenwood University in Belleville, Illinois. as a membership benefit. Become a Credentialing Resource Center member today!